← Why Can’t These Priests Ever Celebrate a Valid Catholic Wedding? Q2: I am an active parish volunteer at my local parish. We recently received a new pastor, and he is very inexperienced…. When I recently went to Confession, he must have recognized my voice, asked me a few questions to ascertain my identity, and turned me away. He said because I volunteer for the parish, he won’t hear my confession. There are only two priests at our parish and we are in a small town without a lot of other parishes around. It is unpredictable which priest will hear confessions on any given Saturday and if he won’t hear my Confession, I may go weeks without absolution. I have been in the habit of not going more than two weeks or so. A: In “Can a Priest Refuse to Hear My Confession?” we looked at an incident in which a parishioner asked his pastor to hear his confession outside of the normally scheduled time for confessions. The priest, who was involved in a conversation with others from the parish at the time, refused the request—and we saw that while priests generally strive to accommodate their parishioners when they seek the sacraments, they sometimes have to say no, simply because they can’t do two things at once. But in both of these questions, the situation is different. The priest knows who the penitent is, and in the first case already knows some things about him—and refuses to hear the confession even if the person came during the regularly appointed time for hearing confessions. Can a priest do that? Let’s look at the second question first. Lisa does volunteer-work at her parish, like countless thousands of Catholic laypeople all around the world. It goes without saying that parishioners who help out at their parishes are still parishioners—and so the pastor of the parish is responsible for their spiritual wellbeing. 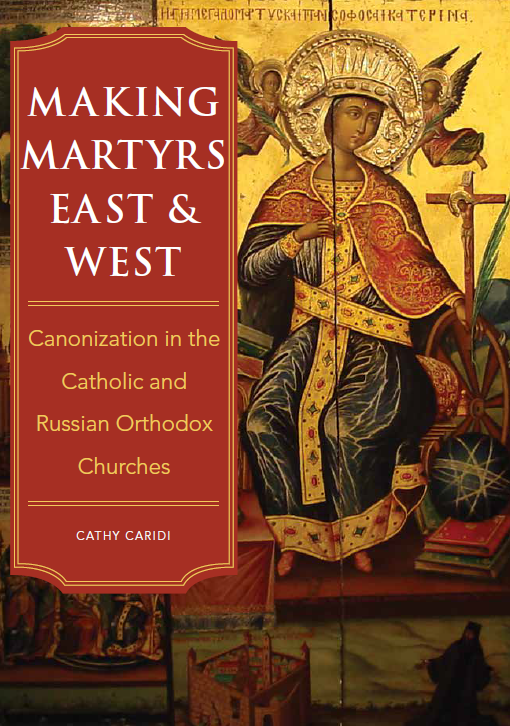 After all, as we saw in “Can Our Pastor Kick Us Out of the Parish?” and “Parish Registration,” canon 518 asserts that parishes are, as a rule, territorial—meaning that they include all the faithful who live within a certain territory. If you’re Catholic, and you live within the territory of the parish, you are the pastor’s spiritual responsibility. This means, obviously, that if you volunteer at your parish, the pastor is still responsible for your spiritual wellbeing. Think about it: why on earth would you suddenly not be under the spiritual care of the pastor of your parish, simply because (let’s say) you generously give your time in order to teach catechism classes, or sing in the choir, or arrange the flowers? And if you weren’t under the spiritual care of the pastor of your own parish, then who would be responsible for you instead? But for those to whom this is not obvious, the code provides plenty of explicit wording to show that there are no exceptions to the pastor’s responsibility for his parishioners. Canon 519, for example, tells us that the pastor of the parish is supposed to shepherd the community entrusted to him by the diocesan bishop. 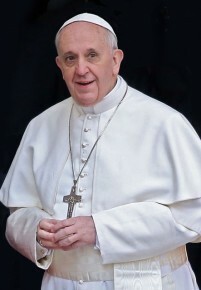 Note that the canon does not say, “the community entrusted to him, except for those members of the community who volunteer.” And with regard to the sacrament of Penance, canon 528.2 specifically states that the pastor is to strive to ensure that the faithful frequently approach this sacrament. In other words, when parishioners come to confession frequently, that’s supposed to be a good thing, regardless of whether they also happen to be parish helpers or not. It appears that Lisa’s pastor thinks that because he knows the parishioners who volunteer at his parish, he is somehow no longer supposed to administer the sacraments to them. It’s rather strange, to say the least, to suggest that a parishioner can only come to confession if his/her identity is not known—because parish priests are actually required by law to get to know the members of their parish! Of course most parish clergy instinctively understand the practical, pastoral need to do this anyway; but if they don’t, canon 529.1 specifically mandates that the pastor of a parish strive to get to know the faithful under his care. So does this mean that if the pastor gets to know his parishioners, and sometimes recognizes their voices in the confessional, he can no longer hear their confessions? The sheer absurdity of such a suggestion should be evident to all. Thus far we have been looking at the issue from the point of view of the pastor’s responsibility; but if we look at it from a different angle, this is of course an issue of the parishioners’ right to receive the sacraments as well. As we have seen so many times before in this space (in “Can the Pastor Refuse to Baptize Our Child?” and “Can You Be Refused Holy Communion If You Kneel?” among others), canon 843.1 asserts that sacred ministers may not deny the sacraments to those who (a) ask for them at an appropriate time, (b) are properly disposed, and (c) are not prohibited by law from receiving them. If we apply this law to Lisa’s case, we can see that if she (a) goes to confession during the time when confessions are heard in her parish, (b) shows from her demeanor that she is sincerely seeking absolution of her sins, and (c) isn’t under excommunication (cf. c. 1331.1 n. 2), then there is no reason why her pastor or any other priest who is hearing confessions can legally turn her away. As if the law wasn’t sufficiently clear on this subject already, we also have canon 986.1, which Lisa pointed out herself. It is found in the section of the code regarding the minister of the sacrament of Penance, and tells us that all those to whom the office of the care of souls has been entrusted are bound to provide for the hearing of confessions of the faithful entrusted to them, who reasonably request confession; and they are to provide these faithful with the opportunity for individual confession on days and at times arranged to suit them. It would be hard to argue that there is any ambiguity about the Church’s attitude toward the responsibility of pastors regarding their parishioners’ ability to receive the sacrament of Penance. Let’s now look at Lisa’s situation as she describes it. Lisa went to confession, apparently during the normally scheduled time for confessions at her parish. She says that the pastor “asked [her] a few questions to ascertain [her] identity,” because he thought he recognized her voice. Even without knowing a single thing about canon law, any Catholic priest should be able to tell you that this is utterly unconscionable. As we saw in “Confession by Appointment and Face-to-Face,” confessionals are required to be fitted with screens (c. 964.2), to protect the identity of the penitent, and there’s a good reason for this! The Church wisely understands that people who wish to confess their sins may very well want to do so anonymously—and they have the right to do this. But if you’re confessing your sins from behind a confessional screen, and the priest asks you who you are, that pretty much obviates the whole purpose of the screen, doesn’t it? Note that there are many instances when a confessor finds it necessary to get a bit more information about the penitent, in order to understand more fully the circumstances surrounding the sins he/she may be confessing. But it’s one thing to want to know if (for example) a penitent is married; it’s quite another to want to know if it is Lisa. After questioning Lisa so as to ascertain her identity, her pastor then “turned [her] away”… because he now knew her identity. What exactly the pastor was thinking here is anyone’s guess. Lisa then sums up her predicament: some weeks only the pastor hears confessions, other weeks a different priest does. If her pastor refuses to hear her confession, that means she can’t receive the sacrament at all. And since it could happen that the pastor hears confessions several weeks in a row, that would make Lisa unable to receive the sacrament for a longer period of time than she wishes—and all because she does volunteer-work for the parish. It would be very difficult to come up with a more blatant, black-and-white violation of multiple laws than this one. Lisa should contact the diocesan bishop immediately and describe to him how her pastor is refusing to give her the sacraments, exactly as she has done here. It’s hard to imagine that the bishop won’t promptly summon the pastor for a talk. But in the meantime, there’s another way for Lisa and her fellow parishioners to resolve this issue themselves. They can inform the pastor that effective immediately, they will no longer be performing any sort of volunteer-work at the parish—and explain that since they are forced to choose between helping out at church, and receiving the sacraments, they’ve logically concluded that their spiritual life is more important. Problem solved! And when there is nobody available to mop the church floors, chaperone the youth-group’s social events, or drive the elderly to Sunday Mass, perhaps then the pastor will understand the logical consequences of his arbitrary, illegal rules. There’s no denying that a priest might naturally feel uncomfortable about hearing the confession of his former professor, his auto mechanic, or his sister-in-law. And if he routinely deals with this person outside the confessional in an entirely different context, it could potentially make their relationship more complicated for him. But if he’s hearing confessions at the regularly scheduled time, and one of these discomfiting people wants to receive the sacrament from him, he has to hear the confession. That said, let’s now look at the scenario which Joseph describes. A Catholic (whether a parishioner or not) wants to confess to a priest, but the priest already knows that the person is married outside the Church. As has been discussed countless times before in this space, such a wedding is not recognized as valid by the Catholic Church—which means that the Catholic is living as husband and wife with someone who is not really his/her spouse. If the Catholic comes to confession because he realizes the grave moral evil in which he is living, and has determined somehow to put an end to the situation, that’s great! Any priest should be thrilled that such a penitent is truly sorry for his sins and wants to amend his life. But let’s say that the Catholic wants to receive absolution—yet has no intention of changing his/her life. Let’s say that he defends his invalid marriage and makes it clear that he will continue to live with his spouse as husband and wife, without making any effort to rectify the situation in the eyes of the Church. And let’s say that the priest knows this in advance, because he has spoken (and maybe even argued) many times with this Catholic about the need to end this sinful situation before he can receive absolution. Among the penitent’s acts contrition occupies first place. Contrition is “sorrow of the soul and detestation for the sin committed, together with the resolution not to sin again” (CCC 1451). There is certainly nothing new or surprising here; the phrase in quotation marks is from the Council of Trent, which took place over 400 years ago. Such a refusal should not be construed as a violation of anybody’s right to receive the sacrament of Penance. That’s because in this scenario, the person is definitely not “properly disposed,” as required by the abovementioned canon 843.1. If the person was truly sorry for his sins and intended to amend his life, that same priest would be more than happy to hear his confession! There’s a big difference between this situation, and that of Lisa. Lisa was denied the opportunity to confess her sins, simply because of who she is—a volunteer at the parish. But in the scenario that Joseph describes, the person is not being denied the opportunity to confess his sins with true contrition; rather, the priest knows up-front that this isn’t what the person is going to do. If anything, the priest who refuses to hear the confession of a person who doesn’t intend to amend his life can be seen as trying to protect the integrity of the sacrament, to avoid what he knows is going to be an attempted abuse. Bottom line: many Catholics prefer to confess their sins to a priest who doesn’t know them, but if they choose to—or have to—confess to a priest who does know who they are, there’s absolutely no legal way for the priest to refuse to hear their confession on those grounds. At the same time, if a priest knows that a person is coming to confession without intending to amend his life, the priest certainly could cut him short, and spare both of them the frustration of arguing in the confessional about why the priest can’t grant absolution in this case. This entry was posted in Confession, Parish Life, Sacraments and tagged absolution, canon law, Catholic, confession, parish, volunteer. Bookmark the permalink.